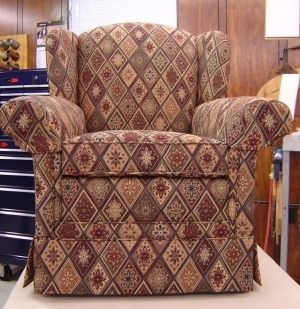 Rolled arm wing chair with arm covers. Covered in geometric print tapestry with kick pleat skirt. 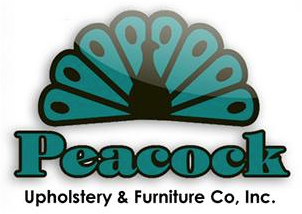 Reupholstered by Peacock.